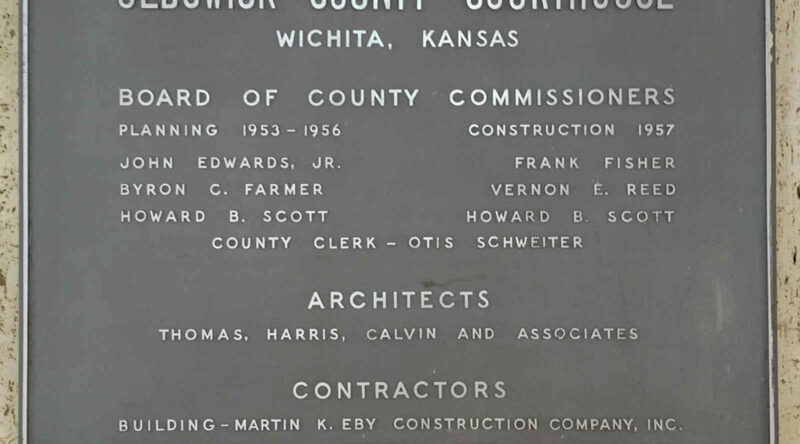 A new initiative to provide residents of Sedgwick County with more information about their elected county commissioners. Indexes of voting behavior are common at the national and state levels. These indexes let voters examine how elected representatives have actually voted, rather than having to rely on their rhetoric and campaign promises. Indexes also provide a useful institutional memory. Based on my experience on producing the Kansas Economic Freedom Index for several years — a service now provided by Kansas Policy Institute — Sedgwick County will have such an index. It’s a timely launch, as this week Sedgwick County commissioners will consider a matter that merits inclusion in this index. The item, if passed, will restart the Sedgwick County Health Department’s travel immunizations program. More information from the county commission is available here. Increasing or reducing the overall tax burden. Expanding or contracting agencies, programs, or functions of government. Expanding or reducing government’s power to regulate free market activity. Expanding or reducing government’s role in health care. Improving or harming the environment for economic growth and job creation. Expanding or reducing individual property rights. Protecting the integrity of elections. Rewarding or harming specific individuals, business firms, industries, organizations, or special interest groups. Creating or eliminating functions that can be performed by the private sector. Increasing or decreasing long-term debt. Increasing or decreasing government transparency and open records. Using government funds for political purposes. Encouraging or discouraging citizen participation in government and decision-making. It is widely believed that politics and economics are separate and largely unconnected; that individual freedom is a political problem and material welfare an economic problem; and that any kind of political arrangements can be combined with any kind of economic arrangements. The chief contemporary manifestation of this idea is the advocacy of “democratic socialism” by many who condemn out of hand the restrictions on individual freedom imposed by “totalitarian socialism” in Russia, and who are persuaded that it is possible for a country to adopt the essential features of Russian economic arrangements and yet to ensure individual freedom through political arrangements. The thesis of this chapter is that such a view is a delusion, that there is an intimate connection between economics and politics, that only certain arrangements are possible and that, in particular, a society which is socialist cannot also be democratic, in the sense of guaranteeing individual freedom. Economic arrangements play a dual role in the promotion of a free society. On the one hand, freedom in economic arrangements is itself a component of freedom broadly understood, so economic freedom is an end in itself. In the second place, economic freedom is also an indispensable means toward the achievement of political freedom. Make a contribution to help defray the costs of running the Voice for Liberty. Contributions are not tax deductible. Don't miss a single article! Click here to receive email updates two or three times weekly. Ballotpedia, providing an interactive almanac of Kansas state politics, including the Kansas Senate and the Kansas House. I'd rather be governed by the first 2,000 names in the Boston telephone directory than by the faculty of Harvard. — William F. Buckley Jr.